Workhorse bench without shelf. Note the trolley with computer on the left. 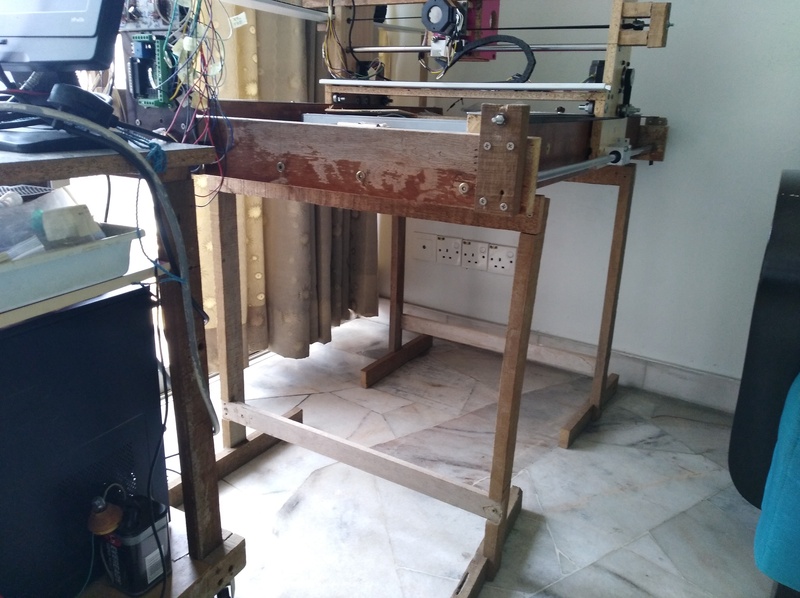 When I was building the moving gantry cnc machine, I was concentrating more on the machine itself, thinking about how to secure all the parts together to make a strong structure. 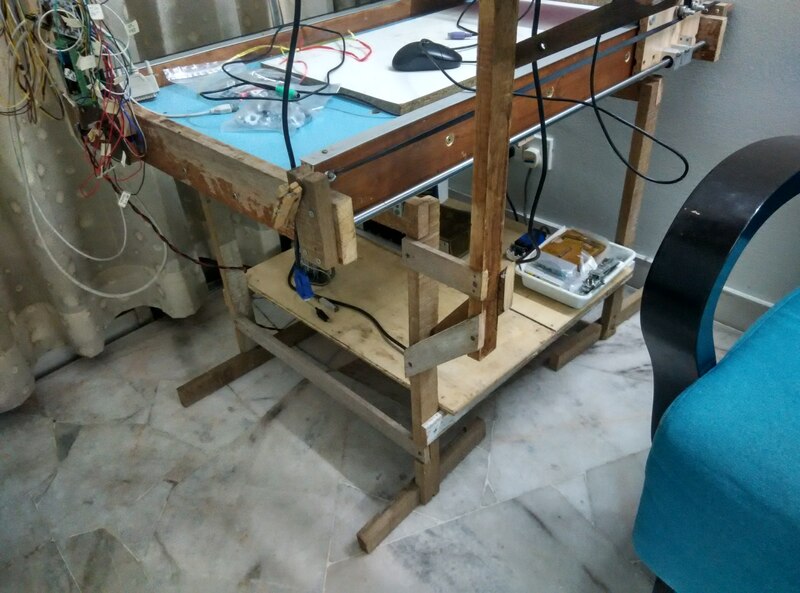 Actually I realized that almost all the diy cnc machines that I saw on the youtube videos had to be placed on ready-made tables. 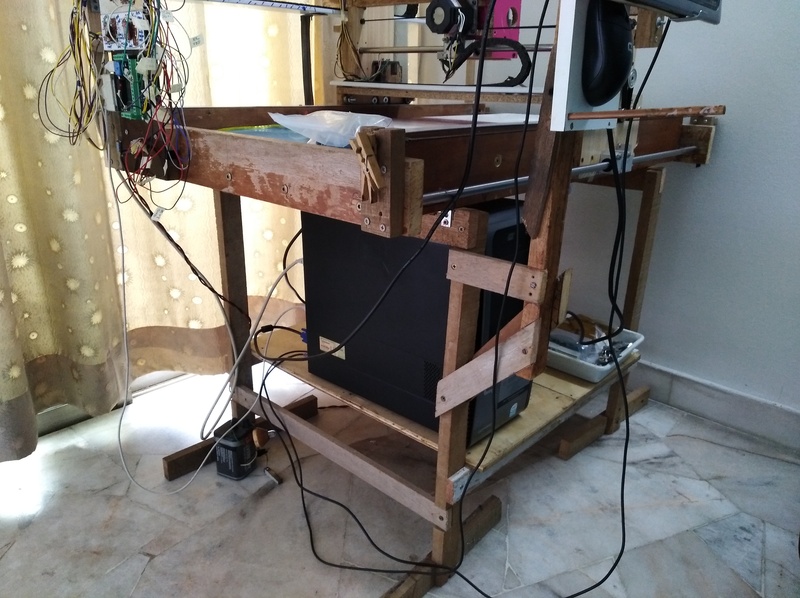 Because of a lack of space in my small house, I did not have a table ready to rest my moving gantry cnc machine. As I had done before in another project when I was making a wooden kayak, I had to make two portable workhorse benches and place the developing cnc machine on it, so that the latter would be raised up above the floor for easier access. The portable workhorse benches were stable enough just to support the cnc machine and had prevented the latter from toppling over. Now the moving gantry cnc machine was in the final stages of completion. 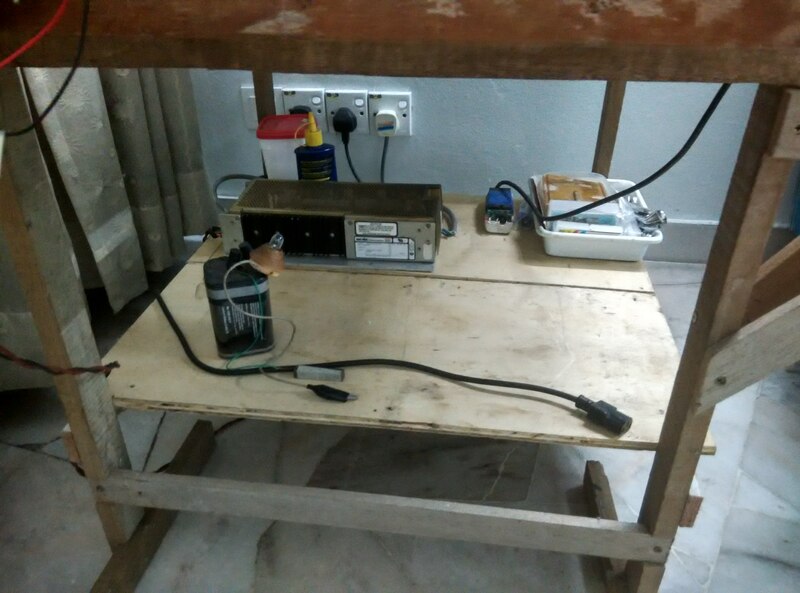 I had decided to continue to use the portable workhorse benches, thus eliminating the need to find a suitable table to rest the cnc machine. The horizontal beams of the workhorse benches were cut shorter and they were attached to the base of the machine by screws. In this way, the workhorse benches had become integral parts of the cnc machine. Since it had become a part of the cnc machine, I decided to make it even more useful by adding some storage space underneath in the form of a shelf. This would be useful for keeping the computer, 24 vdc power supply unit and some tools that I used for machining. 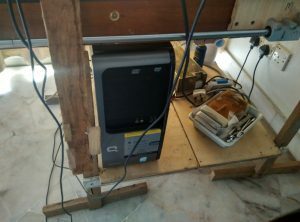 When I was developing the cnc machine, I had to keep the computer, video monitor, keyboard, and mouse in a separate trolley on wheels so that they could be brought near to the cnc machine when I wanted to connect these to the electronic stepper motor driver control boards that were installed at the cnc machine. 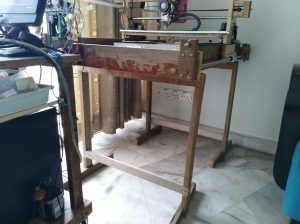 By adding in supporting beams and plywood, the shelves also became part of the machine. But where do I keep the video monitor, keyboard and mouse? These must be easily accessible to me in a comfortable location.